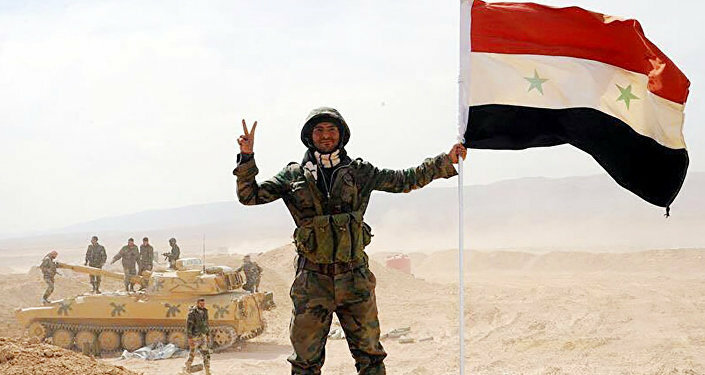 Of all the seismic events that have punctuated the Syrian conflict, none equals the significance of the Syrian Arab Army's success in breaking the siege of Deir ez-Zor. Even more significant than the military operation to relieve the city in the east of the country — an operation spearheaded by the famed Tiger Forces of the Syrian Army, along with Hezbollah and with Russian air and naval support — has been the achievement of the estimated 7000 Syrian troops in successfully defending the city from repeated attempts by Daesh to storm it over the three years it lay under siege. The unvarnished courage and heroism of the defenders of Deir ez-Zor is matched by the estimated 70-100,000 civilians who remained steadfast in the face of the unyielding hardship involved in spending three years living a hand to mouth existence, wherein their only source of food, medicines, and other essentials was provided by regular Syrian and Russian air drops, while coping with the fear and terror of their likely fate should Daesh succeed in overcoming the city's defenses and capturing it. In fact such has been the heroism, fortitude, and courage of the men who defended the city against Daesh over the past three years, along with that of the troops and airmen who broke the siege, that even if only one solitary American had been involved, you can guarantee that a raft of Hollywood movies dramatizing and glorifying the event would already be in the pipeline. As it is, you will scour the Western media and struggle to find one word that even comes close to praising the defenders of the city or those who have just succeeded in rescuing them. Though the Americans and their allies cannot claim to have played any part in defending Deir ez-Zor alongside the Syrian troops under siege there, they certainly did when it came to attacking them. A US-led airstrike on 17 September 2016, including the participation of British, Australian, and Danish war planes killed dozens of Syrian soldiers and wounded many more. The attack lasted an hour in duration and after it ended, Daesh immediately launched an offensive against those very Syrian Army positions. Both the Russian and Syrian governments rejected the claim that the airstrike was an accident, citing the fact that the Americans failed to notify their Russian counterparts when and where the attack was going to occur, as per the protocol that had been established with regard to the deconfliction line to allow for both parties to communicate this information in order to avoid accidents occurring. Moreover, the Syrian Army positions attacked in the airstrike had been in place for months, thus providing additional grounds for skepticism when it came to the claim the US-led airstrike was an accident. 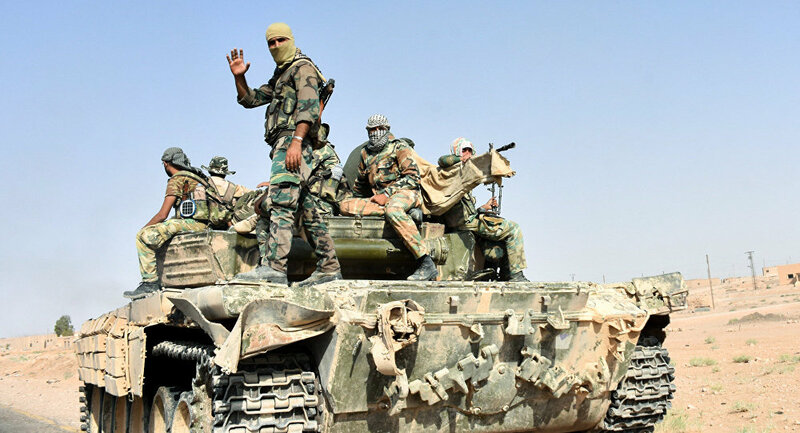 The operation to break the siege of Deir ez-Zor, which lies 140 km south east of Raqqa, began after four months of planning and preparation in the wake of the completion of the operation to liberate east Aleppo in January. This operation ended serious rebel activity in western Syria, allowing pro-government forces to turn their attention to the east across the country's desert region into Daesh heartlands. From May to September the campaign saw pro-government forces drive east in three axes — southeast from Aleppo in the north, through central Syria via Palmyra, and in the south along the border with Iraq and Jordan. Of the three, the central axis via Palmyra heading straight for Deir ez-Zor was the main thrust, encompassing Daesh-held gas fields east of the desert city, and further east the town of Sukhna, straddling the crossroads between Raqqa to the north and Deir ez-Zor to the east. In the vicinity of Deir ez-Zor is located the bulk of the country's oilfields. Their recapture will provide an invaluable economic boost to Damascus after being in the hands of Daesh for the past few years, from where until Russia airstrikes began taking their toll at the end of 2015 into 2016, the Salafi-jihadi group had been able to ferry convoys of stolen Syrian oil north into Turkey at will. The operation to retake Deir ez-Zor also protects the vital geographical between Iran, Syria, and Hezbollah in southern Lebanon, the key centers of resistance both to the Salafi-jihadi threat and to Washington's hegemony of the region in conjunction with its Gulf state and Israeli allies. And speaking of Washington, as the conflict in Syria reaches its post-Daesh stage, attention will soon turn to the intentions of the US-supported SDF operation to take Raqqa, which at time of writing is on-going at unconscionable cost to civilian life. At the Aspen Security Forum in July, when asked by a reporter if US forces will remain in Syria after Daesh is defeated, US special operations commander General Raymond Thomas said, "We're a bad day away from the Russians saying, 'Why are you still in Syria?' "
With the success of the operation to break the siege of Deir ez-Zor, this "bad day" moves another step closer.